Struggling nursing home provider HCR ManorCare's parent company filed for bankruptcy Sunday, and plans to shift ownership and leadership to its landlord, the real estate investment trust Quality Care Properties. Under the arrangement, which must be approved by a bankruptcy court in Delaware, Bethesda, Md.-based QCP will assume ownership of HCR ManorCare's more than 500 skilled-nursing and rehabilitation centers, assisted-living facilities, and hospice and home health agencies. 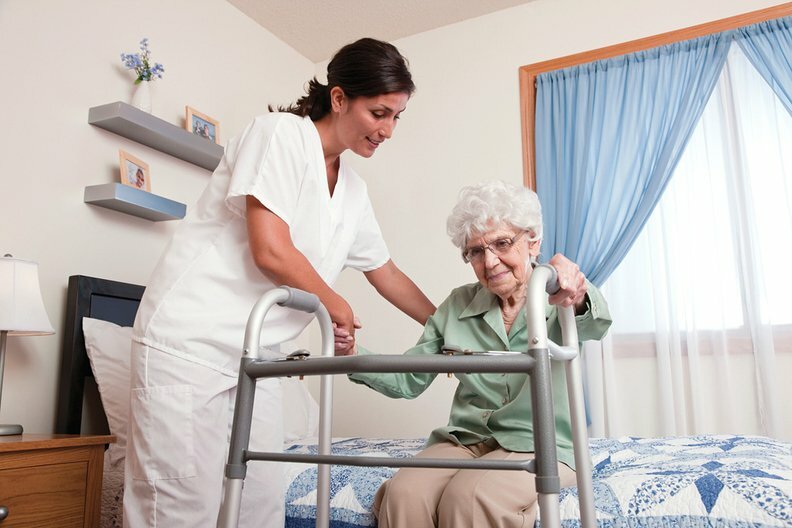 The announcement comes at a tumultuous time for the skilled-nursing industry, which is challenged by low government reimbursement, declining occupancy and high labor expenses. While Toledo-based HCR ManorCare filed for Chapter 11 bankruptcy protection on Sunday, the company's operating subsidiaries will not, and will operate normally. The move will have no effect on patient care or operations, the companies said in a news release. Steven Cavanaugh, HCR ManorCare's CEO said in a news release that the agreement provides stability for employees, residents and patients. "I am proud of the hard work and dedication that HCR ManorCare employees have continued to demonstrate in delivering outstanding care during difficult times," he said. "We will work tirelessly through the transition to ensure that the company continues to deliver the same level of outstanding care." Once the transaction is complete, Guy Sansone, a managing director and chairman of the healthcare industry group at Alvarez & Marsal, is expected to replace Cavanaugh as HCR ManorCare's CEO. Laura Linynsky, QCP's senior vice president, will serve as interim chief financial officer. As part of the agreement, HCR ManorCare paid QCP $23.5 million in past-due rent. The companies' plan sponsor agreement stipulates that HCR ManorCare will continue to pay rent during the Chapter 11 period. More than 80% of HCR ManorCare's roughly $3.7 billion in revenue last year came from its long-term care business. The company reported a $268 million pre-tax loss from continuing operations, according to court filings. At the end of last year, the company had nearly $4.3 billion in assets and about $7.1 billion in liabilities, debt and financing obligations on a consolidated basis. John Castellano, managing director of the firm AP Services, which is serving as HCR ManorCare's restructuring adviser, wrote in a court filing that HCR first defaulted on its rent obligations in April 2017, and that HCR and QCP have been working for almost a year and a half to resolve ongoing issues facing HCR's business segments, particularly in long-term care. HCR ManorCare's long-term care business, which treated more than 143,000 patients last year, has suffered from declining Medicare reimbursement in recent years, especially due to the growing prevalence of Medicare Advantage plans available through private insurers, Castellano wrote. The transaction is subject to bankruptcy court approval, which is expected during the second quarter of 2018. The transaction is expected to be completed during the third quarter. Once that happens, QCP will no longer qualify as an REIT. The announcement comes as other senior-care providers are also making changes amid financial difficulties. Kindred Healthcare said in December it was selling its long-term care, inpatient rehabilitation facilities, home healthcare and hospice operations to the health insurer Humana and two private equity companies for $4.1 billion. The post-acute provider Genesis HealthCare recently completed a financial restructuring to reduce its annual fixed charges. Steve Kennedy, senior managing director of Lancaster Pollard, said he thinks HCR ManorCare's bankruptcy is above all a story about the troubled skilled-nursing sector, in which many of the patients rely on government payers. The same is not true for the assisted-living and memory-care sectors, in which many of the residents are private pay. That doesn't leave much room for nursing home providers to shoulder reimbursement pressure, increasing labor costs and declining occupancy. "Does the future look rosy for QCP under this transaction? I think it's safe to say that they're not out of the woods," Kennedy said. "This is a step in the right direction, hopefully." HCR ManorCare's bankruptcy filing underscores the fact that nursing homes face an unprecedented financial crisis due to chronic underfunding, Mark Parkinson, CEO of the American Health Care Association, wrote in a statement. "In many areas of the country, nursing homes are paid for only a fraction of the care they provide," he said. "Our nation is at turning point where we must decide if we are going to continue to take care of America's seniors and individuals with disabilities." In 2011, the REIT HCP bought substantially all of HCR ManorCare's real estate assets for $6.1 billion. In 2016, HCP announced the spinoff of its HCR ManorCare portfolio into QCP, which then became an independent, publicly traded company. It will be important to watch how QCP handles the transition plan and whether it sells facilities in the future, as its decisions could help gauge peers facing the same problems, Kennedy said. "This is something the sector faces at large," he said. "To have a transaction this big go through this process, there's going to be a lot of owner-operators keeping an eye on this strategy and evaluating it."